WASHINGTON, DC - MARCH 2016: DC Police cruiser approaches & passes fast, downtown DC near Mall. Quick energetic shot. Metropolitan Police Dept. is one of many that have jurisdiction in the Capital. 4k00:12WASHINGTON, DC - APRIL 2016: Police car, siren, leads way for dignitary or VIP or diplomat in official SUV through intersection. This is common occurrence, especially during VIP meetings in DC. 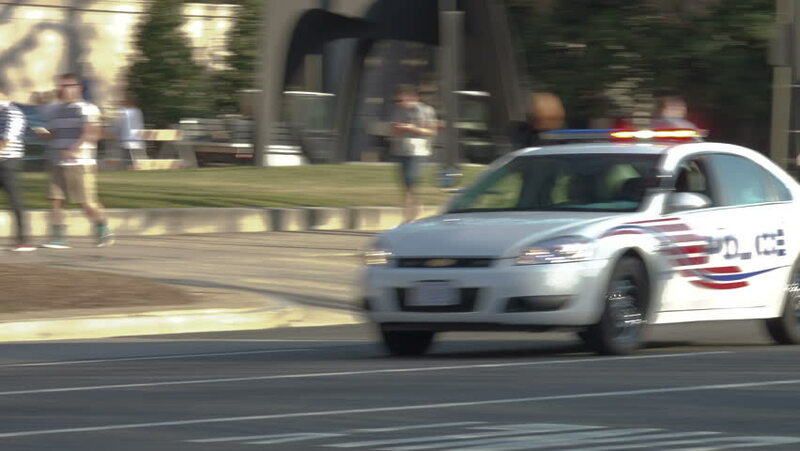 hd00:07WASHINGTON, DC, MAY 2013 - DC Metro Transit Police car whizzes past, siren wailing, defocus as heads off. Short clip. MTPD It is the only tri-jurisdictional (DC, VA, MD) police agency in the country. hd00:08Maligawa, Sri Lanka, November 10, 2013 Car in the city movement. Different equipment is moving through the city streets. hd00:10ROMANIA, BUCHAREST – APRIL 16 2016: Teaching kids safer crossing habits has largely reduced the number of casualties.